Brent Wrightsel is the founder and president of Vision Development and has built his career on exceeding the high expectations of business partners, community leaders and customers alike. Under Brent’s direction, Vision has become one of the fastest-growing real-estate development companies in central Ohio, a testament to his abilities to assemble a great team and to conceive, build and manage thriving communities that the marketplace demands. 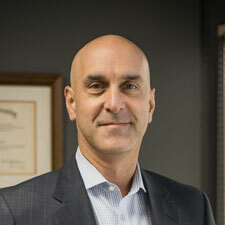 Brent founded Vision in 1994 upon completing his MBA from Miami University. He lives in Columbus, Ohio, with his wife and two daughters. Dan Lhota is our chief operating officer and is responsible for strategic planning, financial analysis and deal structuring, as well as daily operations. 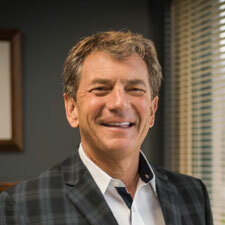 Prior to joining Vision, Dan had leadership roles in companies in the energy, healthcare and financial sectors, a background that made him uniquely suited to his role within Vision Development. Dan is a proud graduate of The Ohio State University and lives in Columbus, Ohio, with his wife, three sons and one daughter.